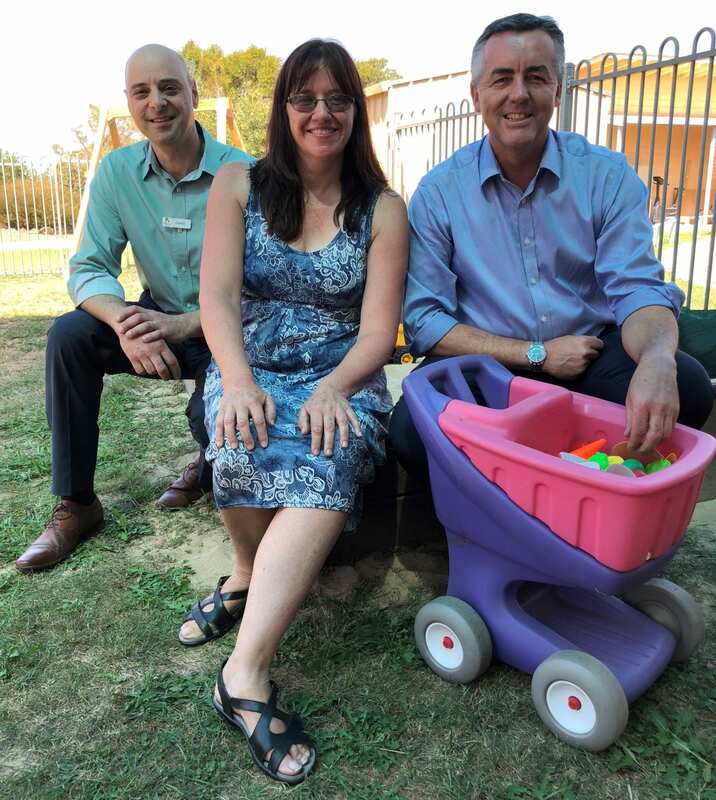 Federal Member for Gippsland recently met with Playgroup Victoria chief executive officer Danny Schwarz and PlayConnect Bairnsdale facilitator Rose McKenna to discuss the importance of continuing funding for the playgroup, which provides much-needed support to local families. The Federal Member for Gippsland Darren Chester is working to secure the future for a playgroup in Bairnsdale for children with Autism Spectrum Disorder. Mr Chester recently met children, parents, play facilitator and assistants at the PlayConnect playgroup during one of their weekly sessions. “The families I met said this playgroup provided an important connection for families with children with ASD or ASD-like characteristics,” Mr Chester said. “It gives social support to family members and is a safe space for children play with other children under the guidance of trained and experienced early childhood facilitators. “Staff members are worried about the program’s future as funding hasn’t been announced beyond June 30 this year. Without government support, parents, some of whom travel long distances with their children to attend, would need to pay $75 for each session. “I’ve been in touch with Minister for Families and Social Services Paul Fletcher to discuss the importance of continued funding for this playgroup.